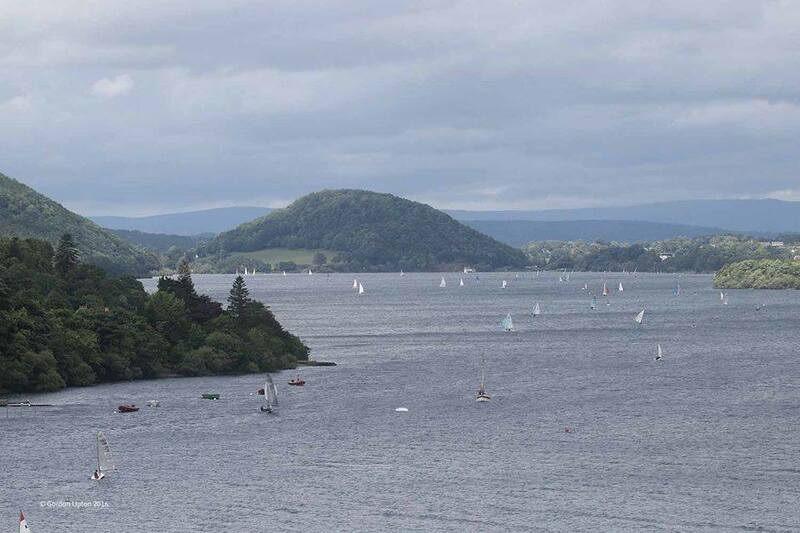 The Lord Birkett is a weekend of yardstick racing on one of the most beautiful pieces of water in the UK, up in the Lake District. Ullswater is a 7 miles long lake in a glaciated valley, steep slopes with drowned Roches Moutonnee forming islands towards its Western end, also known as the "marks of the course". Hitting one of those would have resulted in more than a 360 penalty! The long range forecast suggested a windy weekend was on the cards, (hence my entry!) the short range forecast implied it was going to be carnage. 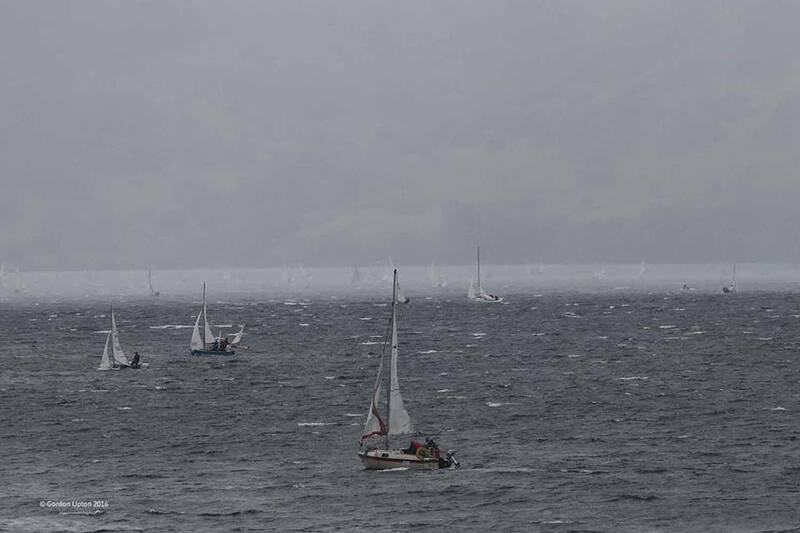 230 boats on a single startline across the lake each knowing that through 'The Narrows' 1 mile into the race it was going to be 30 mph plus on the nose. Five Aeros were amongst those on the water, along with VX Ones, Tempests, a Thames A Rater, Open Canoes (a Canadian Canoe with a sail and outriggers!!) as well as the usual RS fleets, GPs; it was a case of anything goes with a multitude of variety in this great festival of sail. 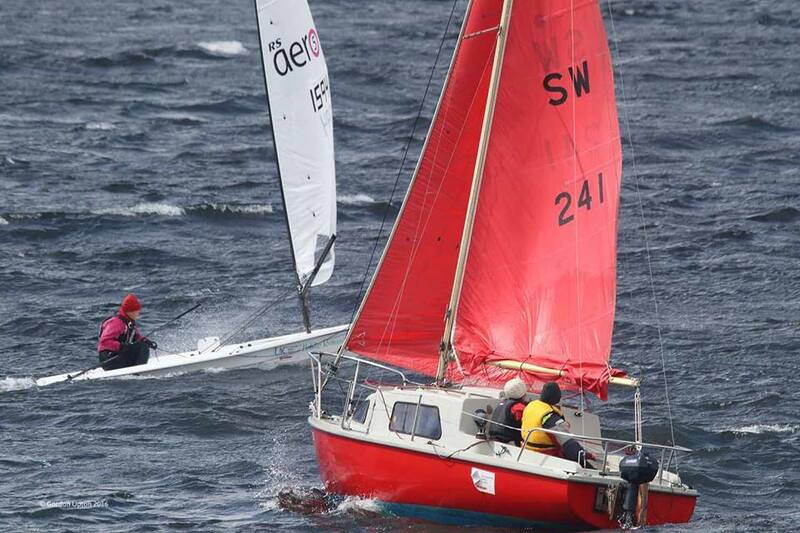 The course for The Birkett is simple in a south westerly; Start, Long Beat, Really Long Run, Short Beat, Finish. Saturday in numbers; 4 attempted starts, 7 miles upwind, 39 mph gusts (lasting 40-50 seconds), 145 degree shifts, 15 rescue boats (Thank You), 231 entries , 81 survivors, 13 Brave Souls who were desperate to get around the course but turned around as they'd been beating for 3 hours, 49er line honours, 505 handicap winner, 1 RS Aero finisher in 5th - Yay!! Sunday, lighter breeze, more survivors, less carnage. 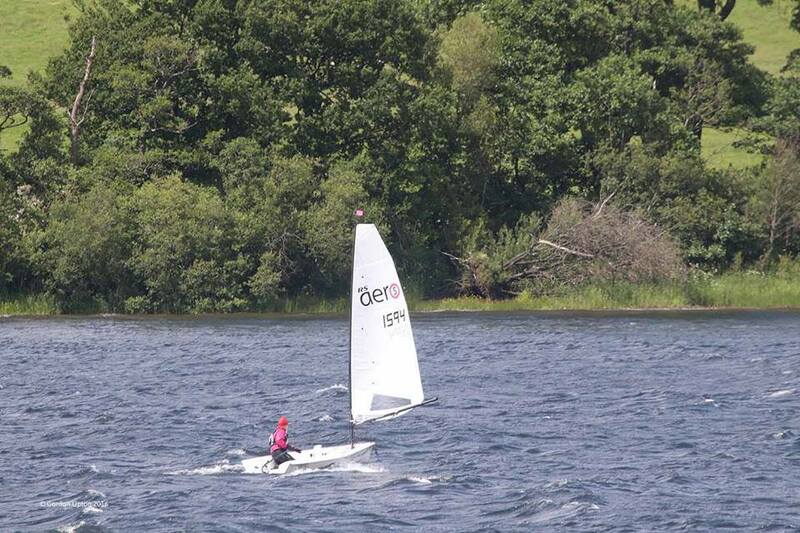 A slightly shortened racetrack, only 6 miles upwind this time to the near island. 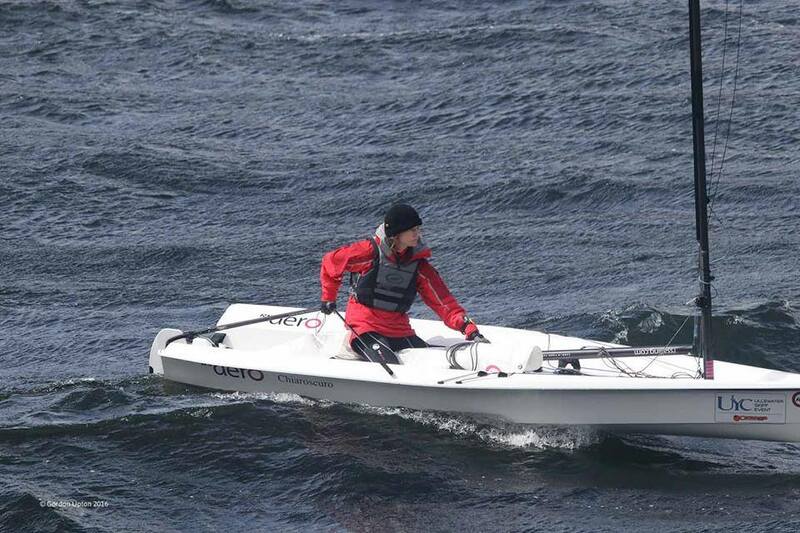 The choice of rig for Saturday meant the Aeros were now lacking power, the results showed that although we do OK upwind, running for over an hour in the lighter breeze wasn't so good. 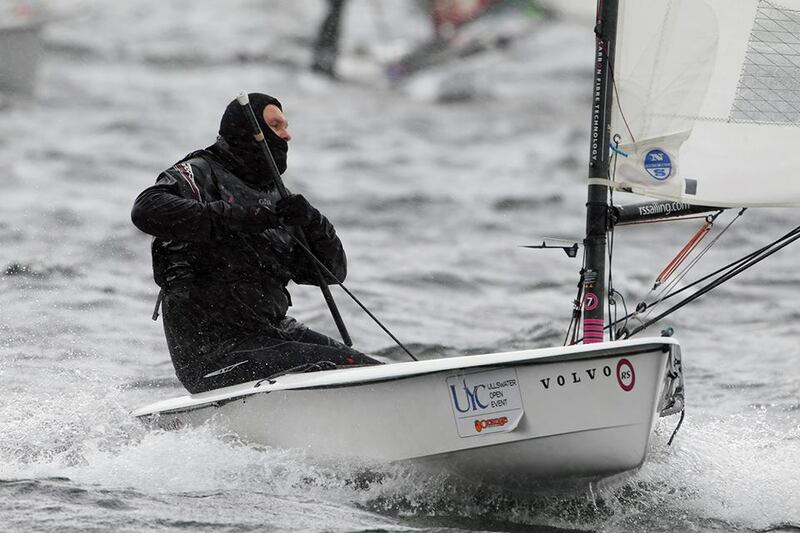 The Birkett is a 'must do' event, competitive yet great fun as you know you're not really racing the people sailing around you, all just hoping to get around as fast as possible. I'll definitely do it again. Put the date in your diary for next yard Lord Birkett - 1st & 2nd July 2017. 231 entries, 2 long distance races, no discard.